If you follow me on my beauty and lifestyle blog, IzzaGlino, you know that last month I was invited for the media launch of Coffee Bean and Tea Leaf’s 2015 Giving Journal. It was a super fun Saturday ,morning event attended by bloggers and media practitioners. I even met Ms. Ana of The Fashion Commuter. 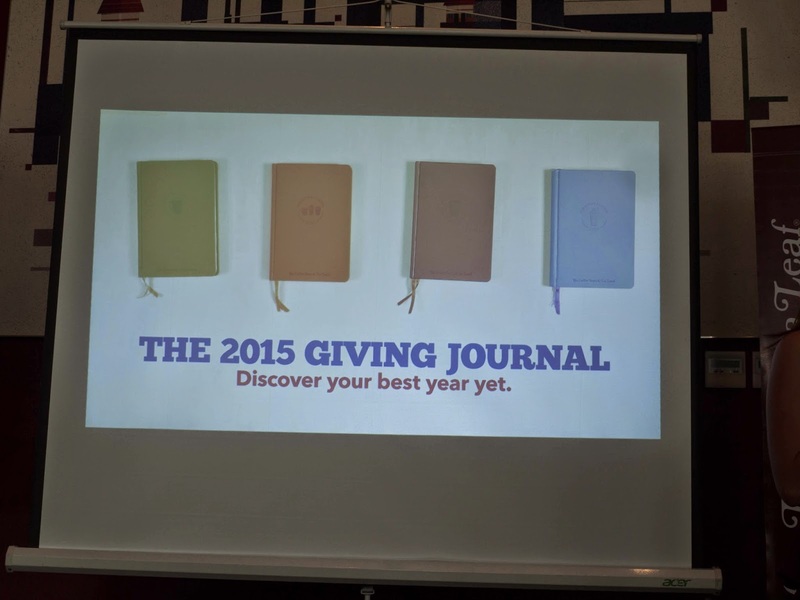 Check out my experience in this link:My 2015 Giving Journal Media Launch Experience. Anyhow, I promised to share what’s inside the 2015 Giving Journal but before that I’ll first give some lectures as to what The Giving Journal truly mean. 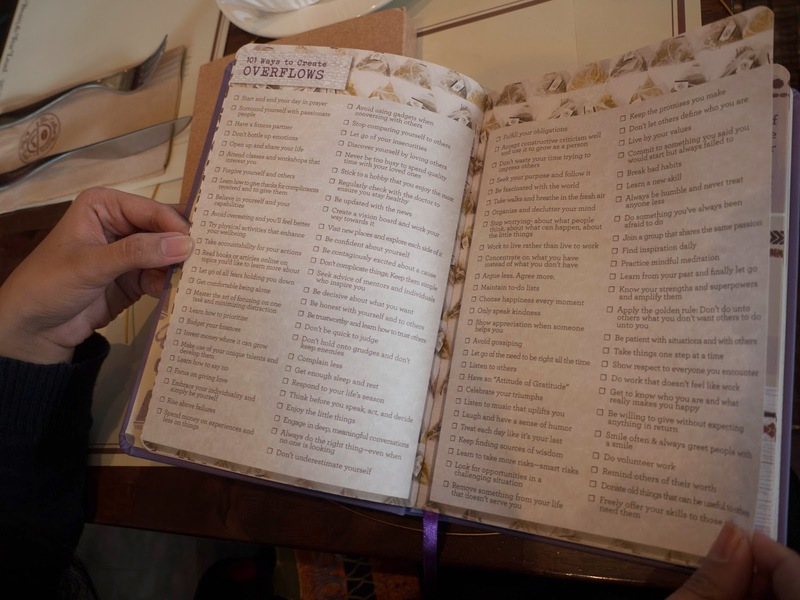 The 2015 Giving Journal is not just your ordinary journal but a medium to give back to others. CBTL partners with Real Life Foundation, an organization built to help unprivileged youth to have a better education. 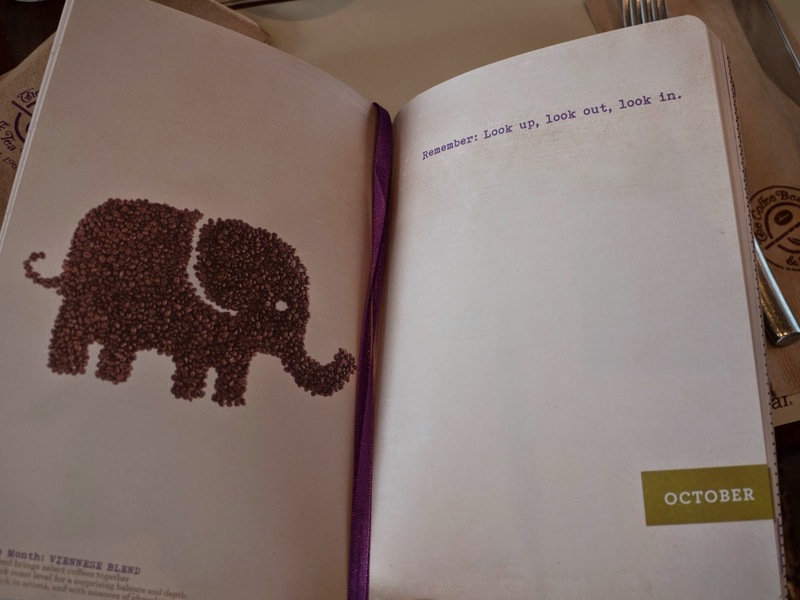 Every Journal can give a big difference to the world. I, myself, had been supporting 2 missionaries and more than the fact that I helped them through my monetary gifts, THEY HELP ME. They gave me an opportunity to give back to remember how blessed I am. The 2015 Giving Journal shows simplicity and minimalistic design. You have four (4) colors to choose from wherein each color symbolizes Coffee Bean and Tea Leaf’s signature product. Purple for the Ice Blended, Brown for Coffee, Green for Teas and Orange for all other specialty beverages. Now how can you get one??? Well getting the 2015 Giving Journal comes with a price tag of course. A minimum single-receipt of a regular or large sized Original Ice Blended, Espresso/Coffee-based, or Tea-based Bevarage, Frozen Swirl or CBTL capsules qualifies to get a stamp card. Holiday Featured Beverage, Espresso/Coffee-based or Tea-based Beverages, or Frozen Swirl (any flavor, double, regular or large. Box of CBTL capsules (any flavor) = 2 stamps on the “your choice of drink” circle on stamp card. CBTL Single Serve Beverage System (Kaldi, Contata and or Detso) = 12 stamps on all the 12 circles on the stamp card; Customer will be able to submit his/her completed stamp card to claim The Coffee Bean & Tea Leaf 2015 Giving Journal at any The Coffee Bean & Tea Leaf branch. 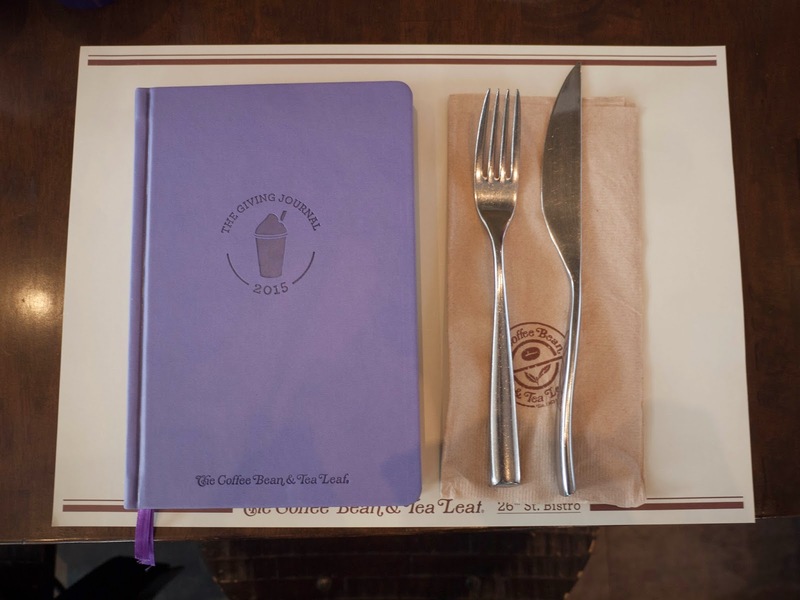 Once all 12 circles are stamped and completed IN ONE STAMP CARD, the customer will be able to claim The Coffee Bean and Tea Leaf 2015 Giving Journal at any The Coffee Bean and Tea Leaf branch. Combining of stamps is not allowed. The completed stamp card should be presented and surrendered to the branch where The Giving Journal will be claimed. The cashier will punch the stamp card to prevent reuse. Not valid in conjunction with other promos. Giving journals may be claimed beginning October 25, 2014 and 60 days from end of promo. Thank you for reading! Hope you get one!